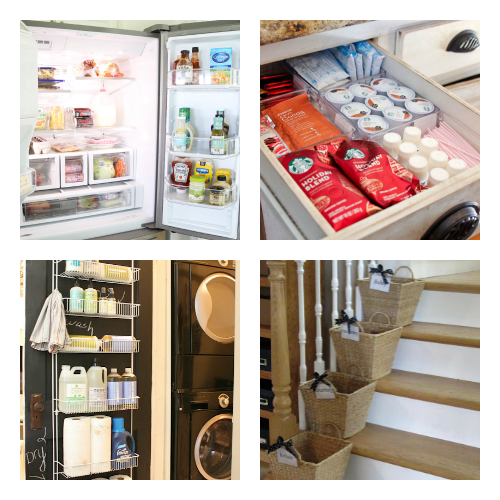 16 Clever Home Organizing Tips. The New Year is fast approaching. That means it’s almost time for New Year organizing! I actually love re-organizing my home for the new year. 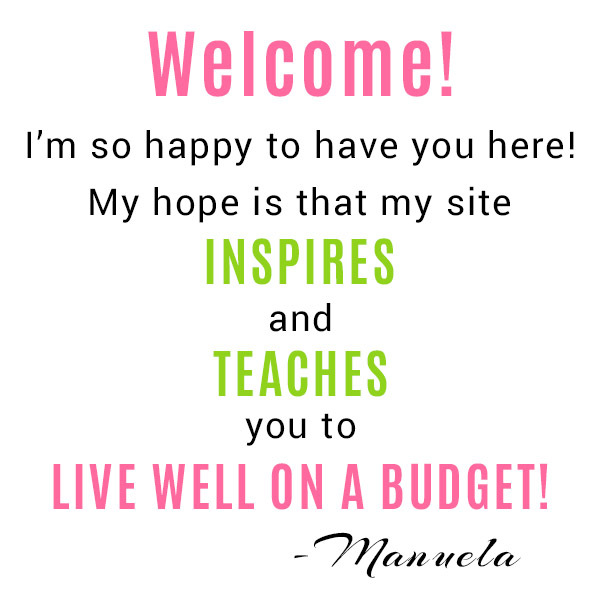 It feels good to start the year with everything in place, with space for new things, or just more space in general. 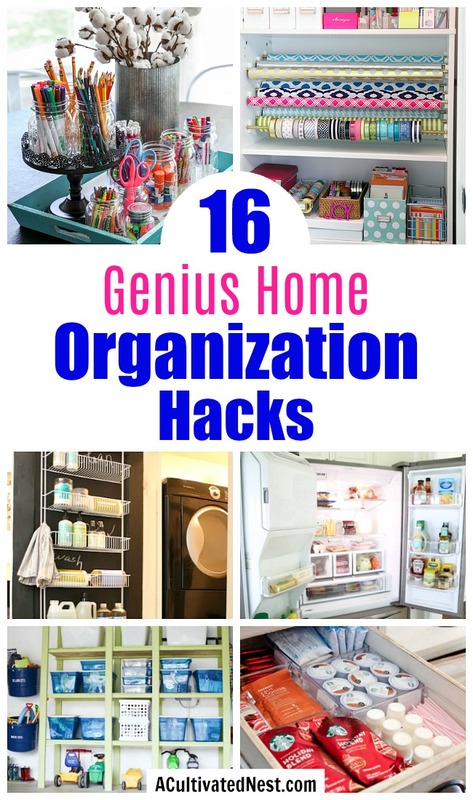 To help you get your home organized easily for the coming year, here are 16 Genius Home Organization Hacks! Home organization doesn’t have to be expensive, or take tons of time. 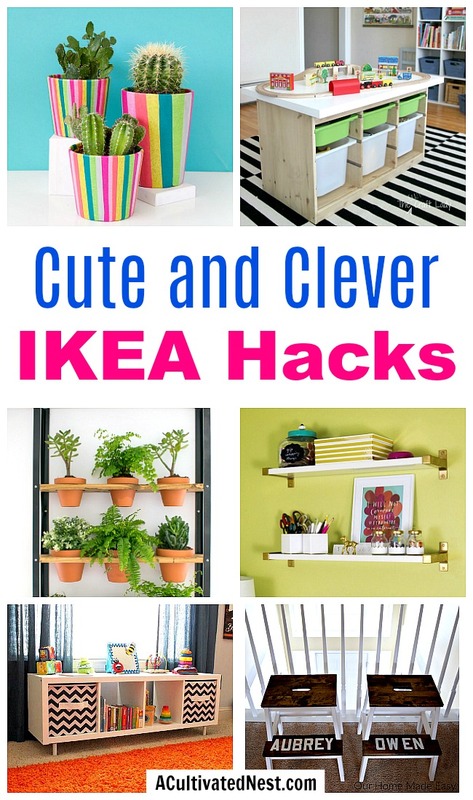 The easy home organization hacks below will help you get your home nicely organized in a weekend! 1. DIY Homework Station by Lil Luna – Make homework fun with this cute and organized station for pencils, pens, crayons, glue sticks, scissors and more. 2. Family Command Center by One Creative Housewife – Place your beautiful and functional family command center where you’ll actually use it! 3. How to Organize Your Mail & Eliminate Paper Clutter by Small Stuff Counts – You can be organized and fashionable at the same time! 4. Craft And Sewing Fabric Organization by Smile Like You Mean It – This is a brilliant IKEA hack to make a vertical sliding fabric shelf. 5. 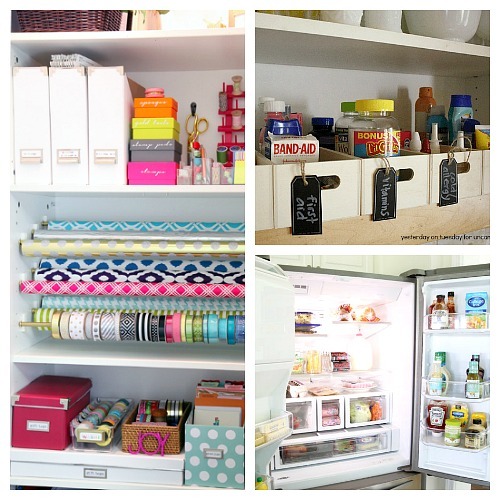 How To Organize The Refrigerator by Just A Girl And Her Blog – find tips and tricks to make the most out of your fridge space. 6. Kitchen Coffee Station by Unlikely Martha – Great use of a drawer to house all your coffee and or/tea essentials. Nice and tidy for your morning cuppa. 7. Laundry Room Organization by My Sweet Savannah Blog – If you’re short on space and you have a door to you laundry room, this is a great organizational hack. 8. Stair Of Baskets For Family Organization by Sew Many Ways – Let each family member help control their own clutter by assigning them each a pretty basket to keep their stuff in. 9. DIY Gift Wrap Organization Station by I Heart Organizing – Repurpose a cabinet or bookshelf into this beautiful wrapping paper station. 10. 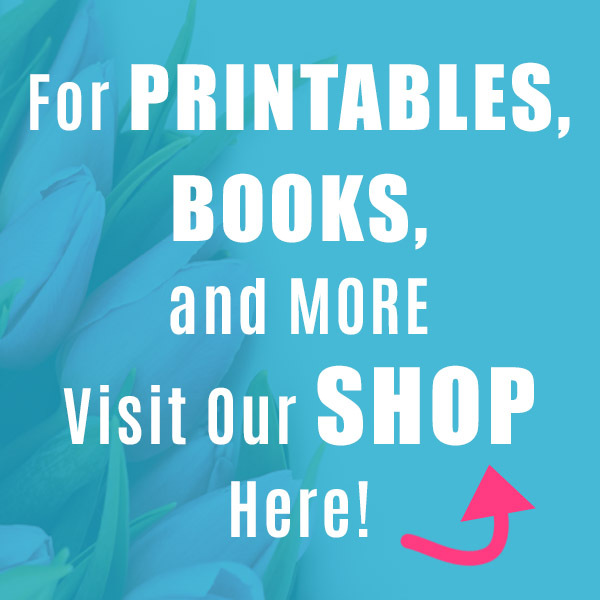 Dates To Remember Filing System by It’s Overflowing – I love this simple way to create a monthly organization system for dates to remember and act on. 11. 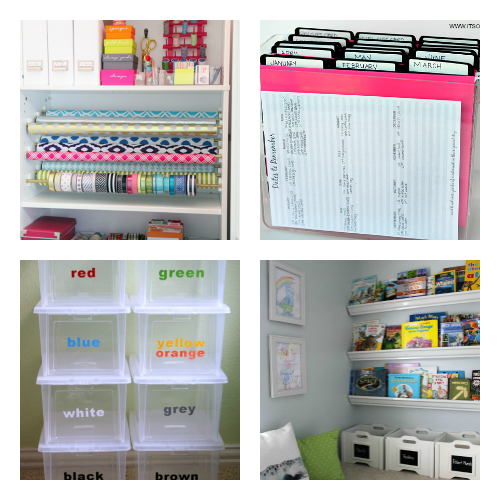 Color Coded Lego Organization by Dukes And Duchesses – This is a simple and effective way to control Legos while teaching organization skills to the littles. 12. Kids Reading Nook Book Display Hack by Clean And Scentsible – You have to check out this brilliant hack for displaying books on the wall. Genius! 13. 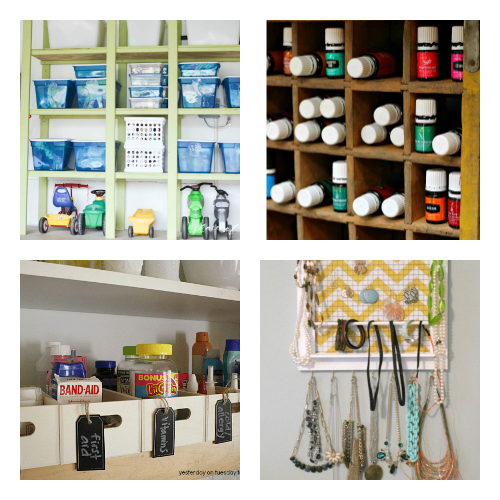 Organized Garage by Place Of My Taste – Get creative with buckets, labels, baskets, and bins to achieve an organized garage. 14. 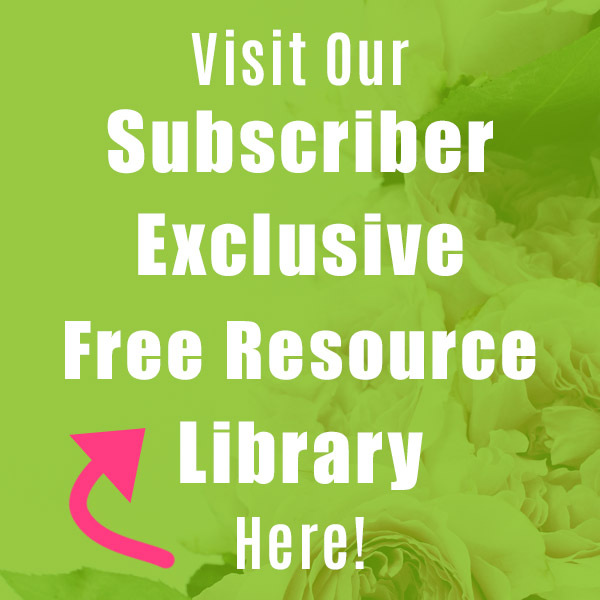 Organize Your Essential Oils by Pink Fortitude – This is a great way to upcycle an old crate. 15. How To Organize Your Medicine Cabinet by Uncommon Designs Online – This is a much more orderly way to find what you need in a hurry. 16. DIY Picture Frame Jewelry Organizer by The Make Your Own Zone – What a cute way to create a personalized organizer for your bling! 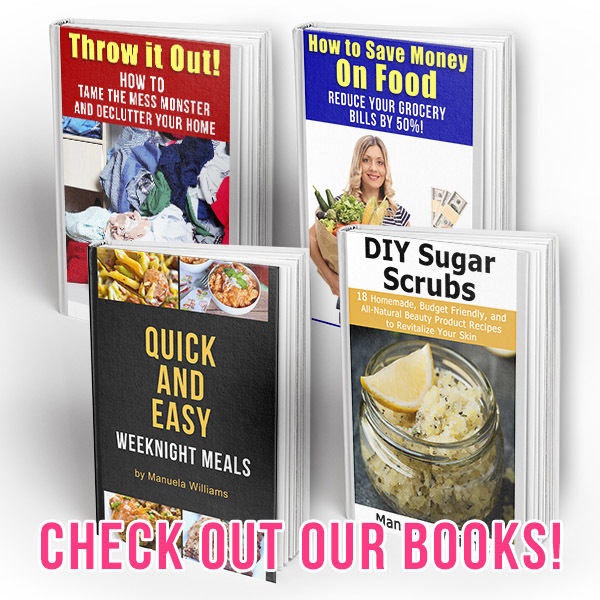 These home organization hacks are such easy (and inexpensive) ways to get your home organized fast! 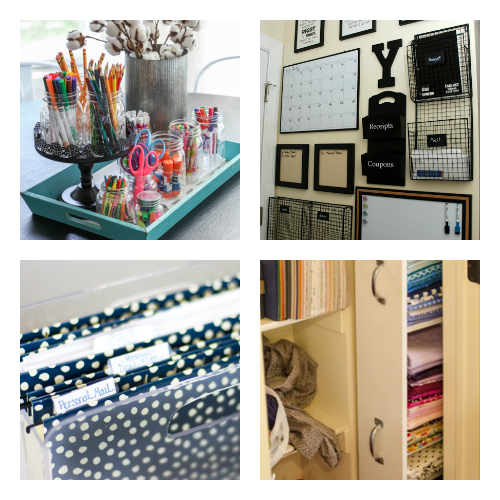 Which of these home organizing ideas is your favorite?